Now, we’re seeing the effects of this shift in consumer behavior reflected in sourcing activity on our platform. The volume of supplier evaluations performed within private labeling and related categories has experienced a strong and sustained rise, with activity continuing to climb month after month. 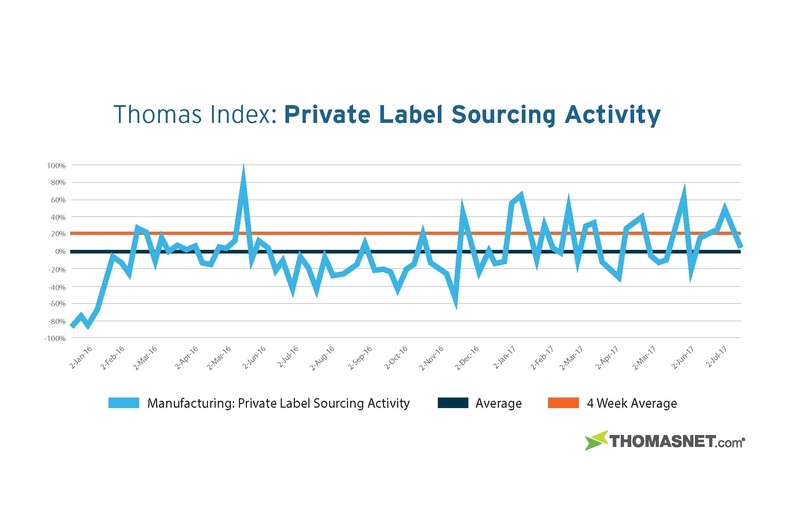 Private Label Manufacturing sourcing is up 25% over the last month in comparison to its all time average. Private Label Packaging sourcing has surged as well, up 48% above average over the last month and 38% more evaluations than average last week. 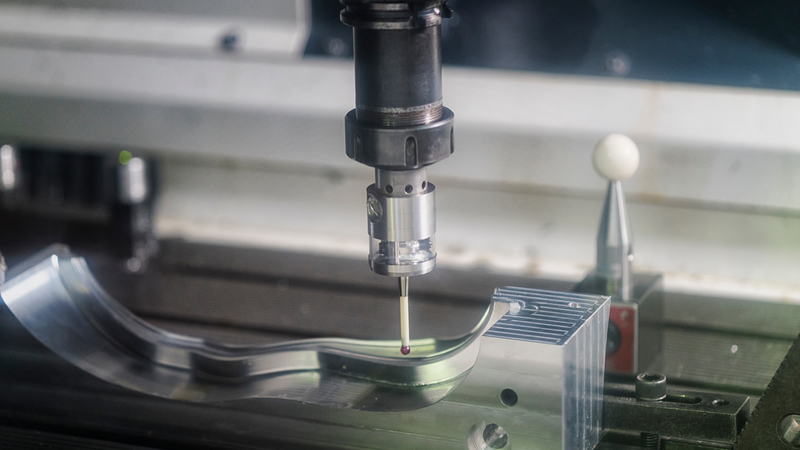 This trend is trickling down to individual industries as well. For instance, private label sourcing activity in cosmetics is up 65%, and pharmaceuticals is up 27% against the all time averages. Let’s take a look at recent developments in the private label industry and analyze the potential for this market. Private label products are not a new concept in the B2C marketplace. The most well-known example is perhaps Costco, which has sold products under their “Kirkland” line for more than 20 years. (Side note: despite what you may hear on the rumor mill, Kirkland Vodka is not Grey Goose). However, more and more companies are embracing the business possibilities of private labeling. Amazon, for example, now owns 90 percent of the online battery market with its Amazon Basics line. At Trader Joe’s, 80% of products sold are sourced directly from suppliers and private labeled (though they try to mask their approach by operating several in-house brands). A big reason why so many companies are investing in private labeling is the fact that big brands spend 25 cents on every dollar to build brand awareness. These costs, naturally, are often passed on to consumers. Private-label products – which are made from the same high-quality ingredients using the same state-of-the-art manufacturing processes — don’t incur this “brand tax.” As a result, consumers could save up to $44 billion per year by buying private label products, according to the Private Label Manufacturers Association. Well-known companies like Amazon and Trader Joe’s aren’t the only ones making strategic investments in private labeling. Brandless, which launched in the Spring of 2017, private labels all of its products and markets them by product description alone. So hand soap is simply labeled “hand soap.” All Brandless products are sold for the same price — $3. They believe that eliminating the “brand tax” can remove the stigma from buying non-brand products while giving consumers more choices. As Brandless Co-Founder Ido Leffler said, "Consumers want new options. They don't necessarily care about buying Heinz or Tide." To illustrate Leffer’s point, Kraft-Heinz posted a 3.1% year-over-year decline in sales in the first quarter of 2017. Robert Moskow, an analyst at Credit Suisse, estimates a 3.5% annual increase in private label sales since 2012. This means that traditional brands are losing market share at a rate remarkably close to the decline reported by Kraft-Heinz. Brandless’ approach has attracted a lot of attention, as well as a lot of high-profile investors. The company has raised about $50 million in venture capital funding to date. Co-Founder and Sherpa Capital investor Tina Sharkey will step in as CEO later this year to lead a team of 12 employees, including former executives from Target. And while Brandless claims they have no plans to compete with Amazon directly, it’s hard to see how they won’t collide if the company proves successful. Find the right supplier for your private label needs on THOMASNET.com, and get started selling your own products directly to the end user! To stay up-to-date on the latest sourcing and industrial business trends, subscribe to our newsletter.